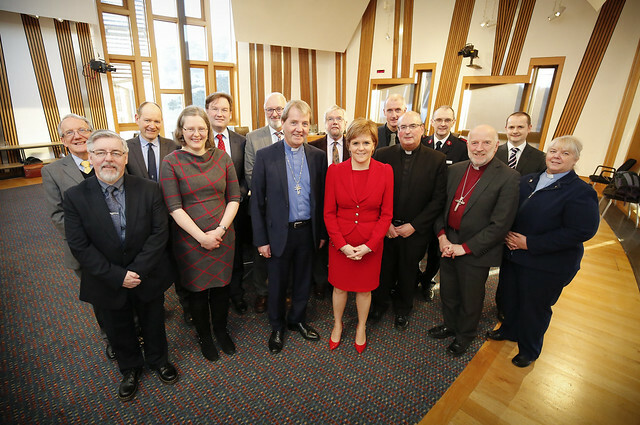 First Minister Nicola Sturgeon met with Church Leaders and Representatives in the Scottish Parliament. The meeting focused on social care needs for an aging population and the particular challenges faced by those with dementia and their carers. There was discussion about the importance of community cohesion and freedom of religion and conscience. It is welcome that Scotland is becoming a more diverse country, particularly with free movement of people from other parts of Europe to Scotland, and the arrival of refugees and asylum seekers. Each group of people bring their own cultural identities, faiths and background. Scotland is a place where we celebrate our differences, while recognising the many things that unite us and where people of all races, faiths and background feel safe and respected.